Inverni beanie hat in seed-stitched cashmere. 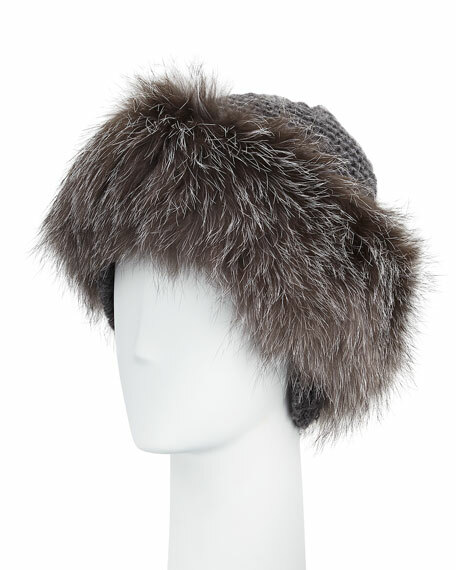 Natural fox fur (Finland) wraps brim. For in-store inquiries, use sku #896914.